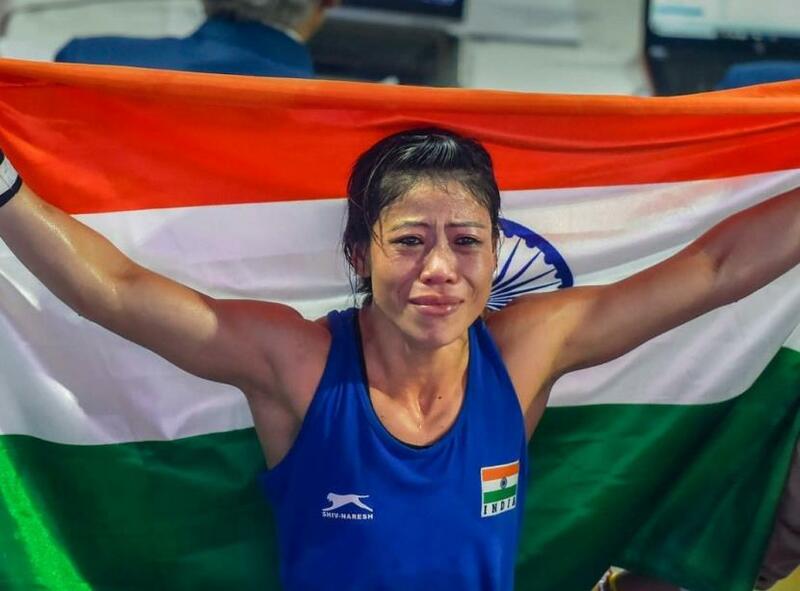 NEW DELHI: MC Mary Kom scripted history after she defeated Ukraine's Hanna Okhota by a unanimous 5-0 decision in the 48kg light flyweight final to clinch an unprecedented sixth gold medal at the Women's World Championships at the KD Jadhav Indoor Stadium in New Delhi on Saturday. With this, she became the most successful boxer in the history of Women's World Boxing Championships. Mary Kom had won gold in 2002, 2005, 2006, 2008 and 2010 editions of the Women's World Boxing Championship and was tied at five gold medals with Katie Taylor of Ireland. Having won a silver medal in the 2001 edition, the 35-year-old Manipuri boxer now has record seven medals to her name in the biennial amateur boxing event.